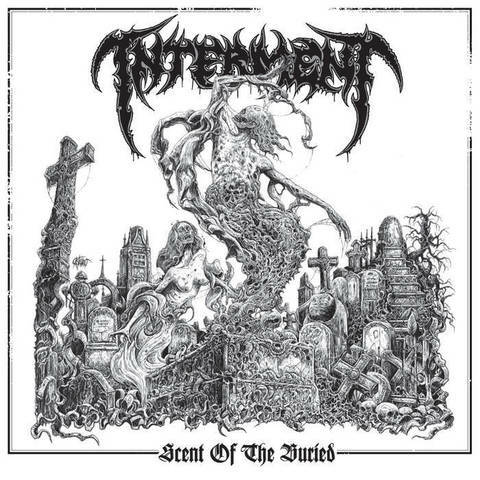 Scent of the Buried was recorded, engineered and mixed between June and December 2015 by Tomas Skogsberg at Sunlight Studios. Produced by Tomas Skogsberg and Interment. Mastered by Sverker Widgren at Wing Studios January 2016. Cover and frame artwork by Mr Juanjo Castellano. Inverted cross artwork by Vlada Hladkova. Layout and design by Justin Stubbs - Restless Nerve. Photos by Susan Wicher Photography. 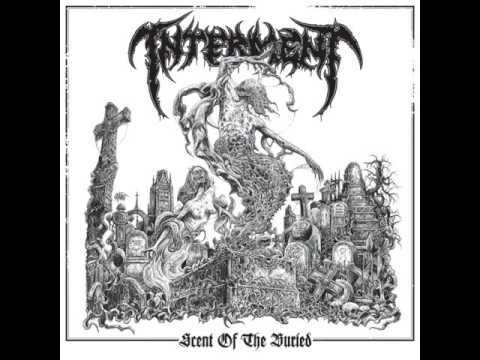 All music and lyrics by Interment. Lyrical contribution on "Unholy Upheaval" by Sarah Monterrosa.